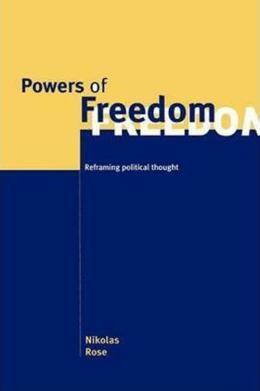 This book presents an impressive synthesis of an important and influential school of thought, derived from Foucault´s writings on governmentality, which extends into new and challenging domains. Nikolas Rose ranges across the many fields on which governmentality theory has been been brought to bear, including expertise, culture and government, economic management, psychology, and community. Unusually, he suggests that freedom is not the opposite of government but one of its key inventions and most significant resources. His book will serve as an intelligent introduction to governmentality for students and scholars alike.